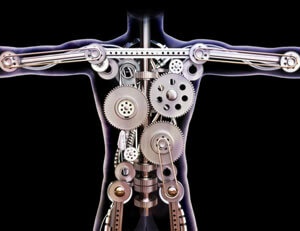 Can you imagine a machine that could heal your condition? Type in the right combination and cells react, repairing tissue and broken bones. A machine that regulates how many breaths you need for healing or one that beats your heart just enough to circulate the blood to areas in demand. A machine this advanced could also send signals to its operator to slow it down or enter a sleep mode so updates could be downloaded. It would be an amazing machine, cutting healthcare costs for millions. Undoubtedly, people would invest large sums just to have one and would go to great measures to take care of it. The demand for such a machine would be so great that suppliers could not keep up. Want to know something more amazing? This machine exists within you. In fact, it is YOU. You were born with natural healing ability—you just have to take care of it! Ever think of adding a little pep to your step or exercise routine? 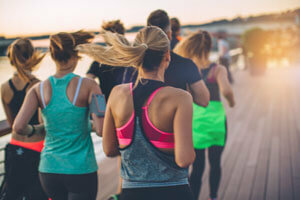 While running offers an excellent cardiovascular workout, it’s important that you take the proper precautions to reap the benefits. While many people think there’s nothing to a good run, there’s more than meets the eye. Find yourself a good running shoe. Without one, you could do damage to more than your feet—including your spine. Hydrate before and after your run. Add a low sugar drink with electrolytes if you plan on hitting the pavement for more than 45 minutes. Pick a cool time of day. Avoid the afternoon sun when heat can be at its peak. Visit our practice to better gauge flexibility, balance and muscle strength. We can help you develop an exercise routine to fit your body. Though frequent travel can be stressful, it can also provide a means to explore new people, places, cultures and foods. 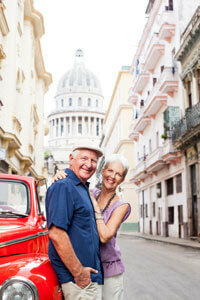 Here are a few more tips to help you enjoy your many trips. Wherever you go, find some time to engage in something pleasurable – a massage, some sightseeing, a dip in the pool or a local cultural event. Make sure you get the proper amount of sleep – sleep helps the body to rest and rejuvenate for the next activity. If you’re crossing time zones, this is especially important. Make sure you take the time to eat well. Try some local cuisine. Ask business associates or hotel staff to recommend some good eateries for you to try. Refrain from overeating and drinking too much alcohol. If you’re a frequent flyer, make the best of it and remember to come in for your chiropractic adjustments often. Why? Regular care can help you better accommodate stress, whether from trains, planes or automobiles.